time spent relaxing on one’s own as opposed to working or doing things for others, seen as an opportunity to reduce stress or restore energy. When did you last schedule some me time? Chances are, you’ve been so busy that you’ve barely had time to stop and take a proper break to re-balance your mind, body and spirit. For most of us, life has never been so hectic. Long working days, household chores, looking after children or maybe elderly relatives, appointments and meeting up with friends mean our days are packed with various activities, leaving little time to focus on ourselves. And even if we do find a small window of opportunity to do something to relax and recharge, how many of us feel guilty for doing so? Never feel guilty for enjoying me time; health is paramount. Being constantly on the go can result in a build up of stress, which can lead to health problems if not dealt with. Doing something regularly for yourself will help to reduce stress levels and prevent them from building up again. If you aren’t used to having me time, it may feel strange at first, but once you get rid of the notion that you should be doing something else instead, you will wonder how you ever lived without it! We all have our own ideas of what me time means. For some, it could be a whole day out including shopping, lunch and a manicure; for others, it could be something as simple as curling up with a cup of tea. There are so many ways to enjoy me time – why not try a few and see what relaxes you the most? You could even do something different every day! Have a massage, facial or spa treatment. If you are wondering how you are going to find time in your day to take a proper break, the answer is you are going to make time! If time really is short, even setting aside just a few minutes a day to do something you enjoy will help to make a difference. Whatever it is you enjoy doing, here are some easy ways to incorporate me time into your daily routine. 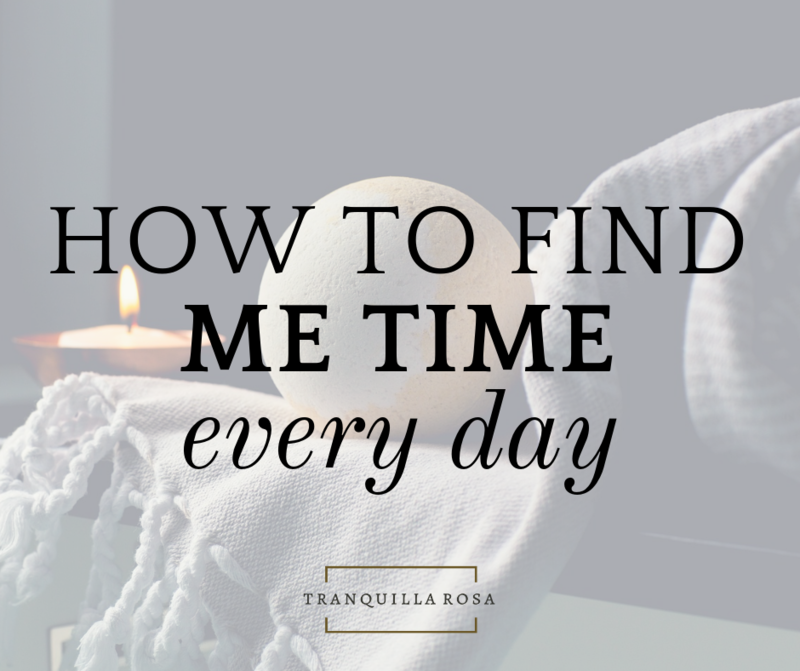 With practice, you should be able to fit in some me time several times a day! Starting the day off by doing something you love is the best way to set you up for the day ahead. Mornings can be the busiest time of day for many people as the rush to get everyone ready for work and school begins. The secret to enjoying me time in the morning? Get up a little earlier. Rising just half an hour earlier will allow you to do something to relax and invigorate your mind and body. Exercising or yoga is a great way to start the day and get you motivated. Try switching your morning shower for a bath – it will feel incredibly indulgent! If you feel like it’s too early to get out of bed, why not take the opportunity to relax and read a book or magazine? The journey to work is a great opportunity to listen to some music and put you in a positive mood. If you drive, make a CD of your favourite songs and play it in the car, or if you walk, cycle or use public transport you could listen to your iPod. Instead of spending your lunch break in your work environment, get outside and spend some time in nature. We are extremely lucky to live in such a beautiful part of the country, and we are never far from a beach, park or woodland. Enjoying a holistic therapy treatment is the perfect way to melt away any stresses that have built up during the morning and leave you feeling refreshed, revitalised and ready to face the afternoon. Shorter treatments, such as a 30 minute massage or an express foot ritual can easily be incorporated into your lunch hour. If you aren’t able to get out, use your break to do something fun such as a spot of online shopping or playing a game on your computer. Enjoying me time in the evening is the ideal way to unwind after a busy day and set you up for a great night’s sleep. Make cooking fun by trying something new, or go out for dinner instead. Read, write or paint, or curl up and watch your favourite film whilst painting your nails. Have a relaxing bath with candles and essential oils, or spend time meditating before you go to bed. If you aren’t able to fit a treatment into your lunch break, book one for after work or on your day off to help relieve tension and restore balance. Longer treatments, such as massage, reflexology, facials or holistic back rituals will all help to promote feelings of deep relaxation and boost your wellbeing. Finish your day by relaxing with a cup of herbal tea and thinking of all the positive things that have happened since you woke up. Even if you think you haven’t had the best day, you will probably surprise yourself by finding little things that you are grateful for. Go to bed feeling calm and happy, and ready to do it all again tomorrow.